Well read on to find out exactly when, who and what the Swans did on 26th September! Garry Monk saw his team comfortably beaten 3-1 at Southampton in the Premier League, as his side dropped to 11th place in the table. Gylfi Sigurðsson scored an 83rd minute penalty for the Swans, but it was the only highlight of a miserable afternoon for the travelling Jacks amongst the 30,704 crowd at St. Mary’s Stadium. The Swans managed to hold on for a 2-1 victory over Sheffield United in the Championship, their first home league win of the season, despite Jordi Lopez and Nathan Dyer being shown red cards by referee Darren Deadman at the Liberty Stadium. Paulo Sousa’s team had to deal with influential Dutch midfielder Ferrie Bodde, leaving the field less than 10 minutes into his first start in 10 months since recovering from a cruciate knee ligament injury. The 14,324 crowd witnessed a crazy 2nd half, with the Swans scoring twice, thanks to a Lee Trundle penalty and a thunderous 25 yard effort from Tommy Butler, before having to hang on for victory with nine men. A goal in each half from Rory Fallon and Leon Knight secured a 2-1 victory at the Liberty Stadium in Coca-Cola League One. Manager Kenny Jackett handed a debut to goalkeeper Andy Oakes, in a game watched by a crowd of 10,031. 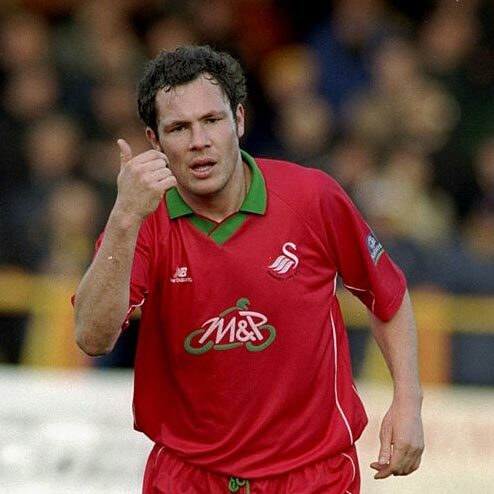 Goals from Julian Alsop, Steve Watkin and Tony Bird helped the Swans to a 3-1 win over nine man Southend United at the Vetch Field. The Nationwide League Division Three game drew a crowd of 3,360 as John Hollin’s team even had the luxury of Steve Watkin missing a penalty. The Swans held Shrewsbury Town to a 1-1 draw at Gay Meadow in an Auto Windscreens Shield Southern Group 1 game. A crowd of just 943 saw the Swans take the lead through Steve Torpey, only for the home side to deny Frank Burrow’s men a victory in the dying minutes of the game. Crewe Alexandra beat the Swans 4-2 at the Vetch Field in a Barclays League Division Four game. Manager Terry Yorath handed a debut to local teenage midfielder Ian Marsh, but all the Swans had to show for their efforts in front of the 3,832 crowd, were 2nd half goals from Phil Williams and Colin Pascoe. Two second half goals from Alan Curtis and Leighton James (p) earned the Swans a 2-0 Football League First Division win over Sunderland at the Vetch Field. The 17,826 crowd saw the home team record their fifth win in 7 league games, as John Toshack’s team consolidated their 3rd place position in their inaugural season in the top flight. 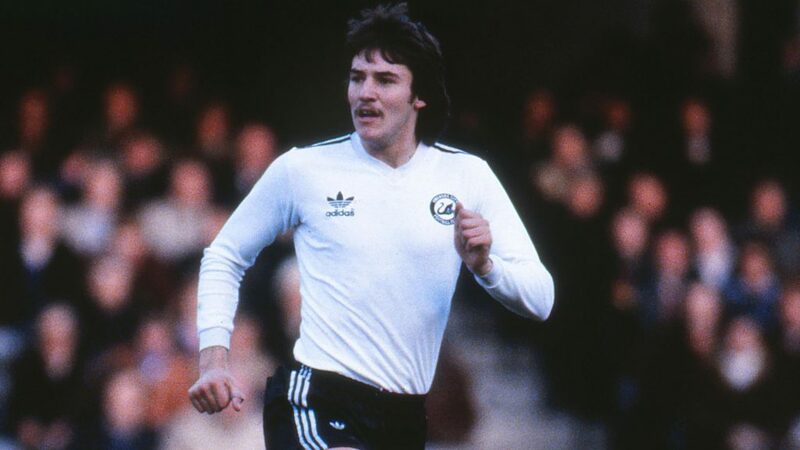 Former Swans centre-forward Jeremy Charles was born on 26 September 1959 and played 247 games for Swansea City between 1976 and 1983, scoring 53 times.